In between loving on my husband and kids, working out, and blogging, I’ve been making improvements to the lower level of my home. I already told you about the flood that destroyed half my downstairs last year and have been updating you on the repairs. In the last few weeks the den and master bedroom has really been coming together so today I want to share another project that I’ve completed. When it comes to decorating my new den I want the space to reflect the love I have for my home and the fun that our children add to the family. 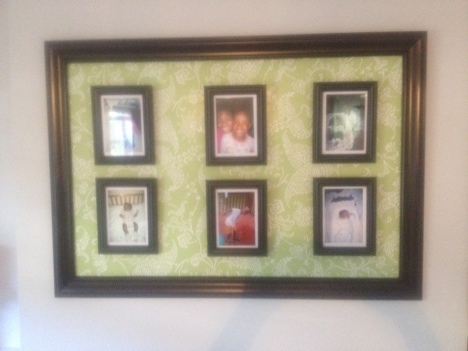 I thought what better way to do that than to create a family photo collage to display some pictures of fun family times. 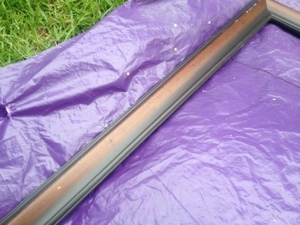 I started with a 40″ by 28 1/2″ frame that was given to me by my neighbor over four years ago. 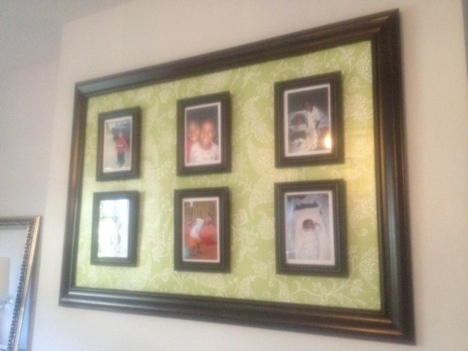 I wanted the frame to have a solid color instead of the two toned color it had in the picture below. 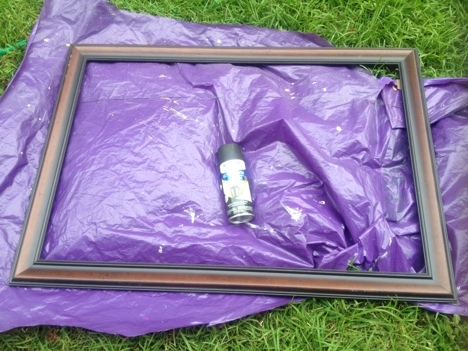 After spray painting the frame with Rustoleum Walnut in Satin I started working on the collage background which is just a piece of cardboard cut to fit the frame. I then covered it with some pretty contact paper. After getting the frame and backing assembled, I started measuring out the spacing for the frames using a level and tape measure. I used Command Strips to attach thumb tacks to the contact paper covered cardboard. 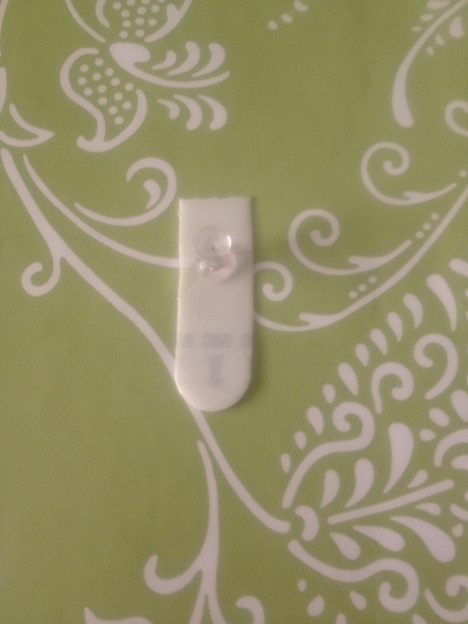 The Command Strips are sticky on both sides. One side keeps the tack stuck to the command strip and the other side keeps the Command Strip securely attached to the board. 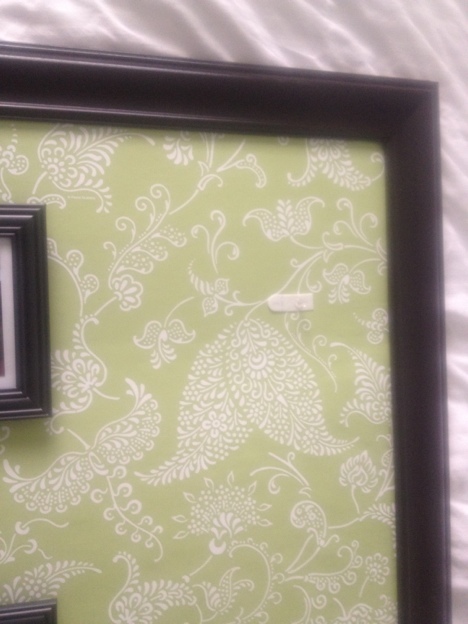 There are probably many other ways I could have hung the frames to the board such as Velcro Command Strips, but the use of the thumb tack will make the small picture frames jut out just a bit from the board instead of laying flush with the larger frame. That little detail added more depth the the collage. 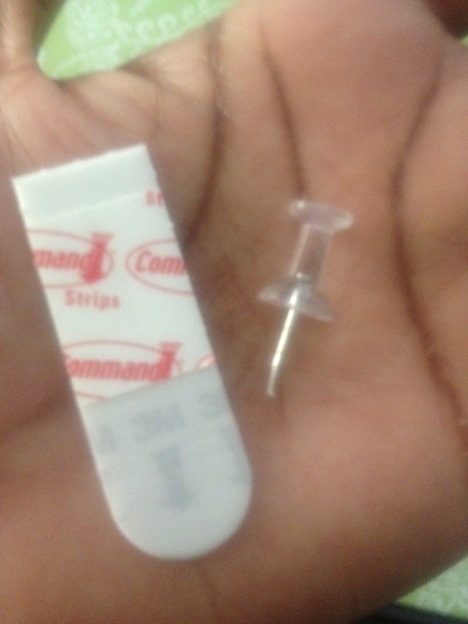 Here’s how the tacks look once attached. Once all of the strips were attached, I was excited to add the frames. 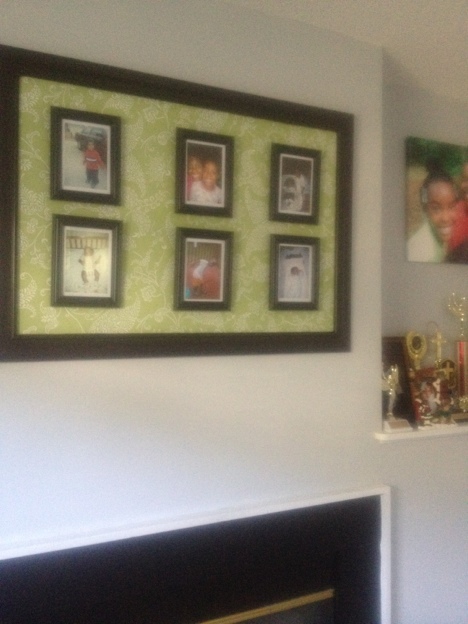 I hung the family collage over the fire place. 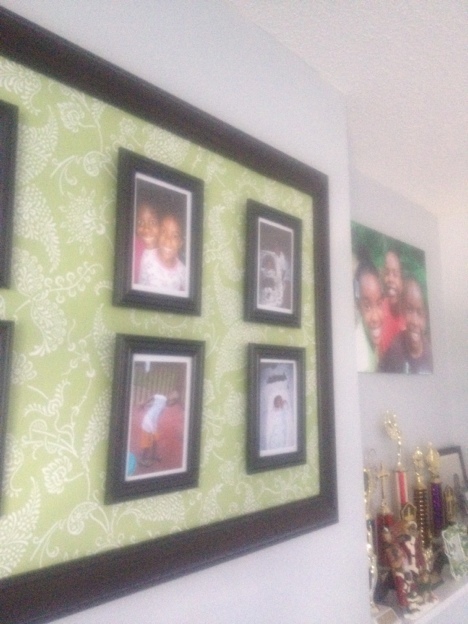 This is the focal point of our den so there was no better place to hang pictures of our family. The best part of this project is that I can replace the pictures with six new pictures as often as I like. The next theme is going to focus on my husband and I. I’ve already picked out six pictures of my husband from the last 10 years. It’s so nice to see how much we’ve changed and grown over the years. So what do ya’ think?